A wife, a husband, a mother, a father, a brother a sister – cancer can happen to anyone and when it does, a patient needs help. Cancer is emotionally and physically draining and the patient needs to rally all of their strength to fight the disease and survive it. Treatments are often harsh and leave patients feeling depleted, ill and simply unable to function. Because of this, family members such as spouses or children are often the not only a source of support and encouragement but a caregiver as well. Being a caregiver is a noble job that is indispensable but, as anyone who has ever been a caregiver for a cancer patient knows, being a caregiver is also very difficult and draining in many ways. Below are 5 tipcs for a cancer caregiver to not only offer the best support for a cancer patient possible but to also take care of themselves during the process. The world of cancer is confusing and upsetting, frequently leaving everyone with many questions. The best thing you can do as a caregiver, once you know the full diagnosis, is to educate yourself. While no one expects you to be the doctor or have all the answers it will make it much easier on everyone if you are familiar with what is happening, what expectations are, best approaches to care and comfort, or anything else related to cancer or offering support. Starting off with knowledge will make things much easier as you determine how to best offer support for your individual circumstance. 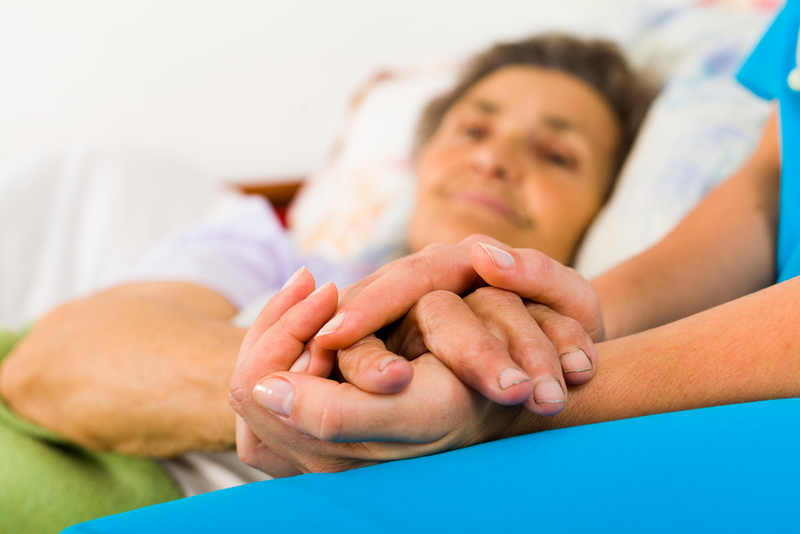 The focus of care giving is often on caring for the cancer patient. This is, of course, a priority. But, nobody can offer proper and effective support if they are not taking care of themselves also. This means that caregivers must ensure that they are eating well. Even if the patient is sick and unable to eat, find time when they are resting, getting treatment or otherwise busy to make sure that you are eating proper meals and/or snacks. One of the best ways you can ensure this happens is to plan ahead. In the rush of the day when distractions arise it is easy to put off feeding yourself but if you have made meals ahead that are easy to quickly eat or reheat that will be best. If you have a busy day of doctors appointments make healthy snacks ahead of time and keep them with you in a purse or bag. Just like food, rest is easy to neglect when in the middle of caring for someone that is sick. But, just because it may be more sporadic or harder to come by does not mean you do not need it. Rest is critical to being able to care for someone. Studies have shown that rest, even with a nap as short as 15 minutes, can be incredibly restorative. When you become a cancer caregiver it can feel like the whole world revolves around cancer and caring for someone else. And, for the most part, it probably does. Do not completely neglect your interests or forget to do things that are just for you. You have to feel human and like yourself to be able to offer the best support. Go shopping one afternoon, get a pedicure, go for a hike, go to the gym, see a movie or meet a friend for a meal. Being a caregiver for someone you love who is going through cancer treatment is very difficult, emotionally draining, scary, and upsetting. While many cancer patients seek support it is also important for caregivers to get support for their feelings and emotions as well. There are many support groups for cancer caregivers, or consider speaking with a trained professional to work through some of your own emotions.